At The Granary we pride ourselves with using the best ingredients.Our coffee is no exception. We use a local Roastery called Beanworks (based down the road in Woodville)for our beans. And it helps our coffee taste great!!! We cater for corporate events, private parties, training events and much much more. Over the last few years we have worked with some of the largest companies in the area including Coors, Palletforce and many more. We have also catered for many smaller events such as family christenings and funerals. 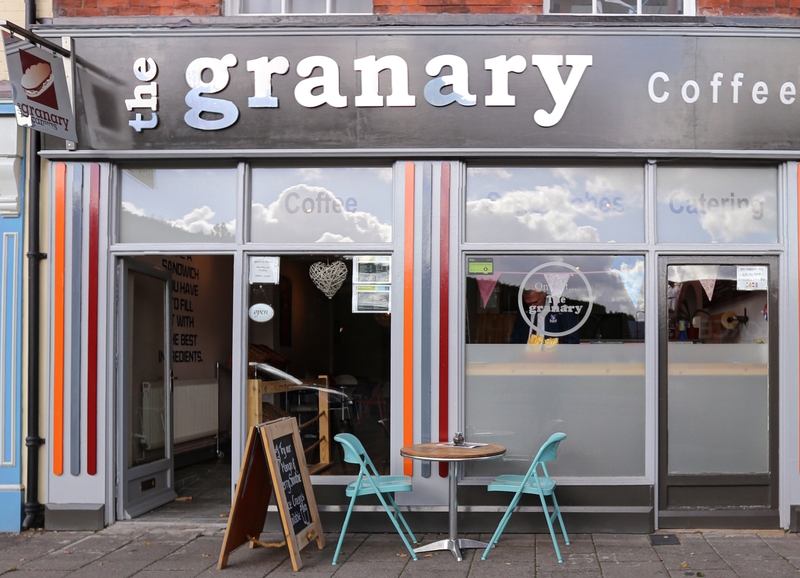 The Granary has been in existence now for over 5 years delivering high quality sandwiches, coffee and nibbles to our customers. We are a small family run business with a friendly team who offer an informal and relaxed atmosphere in which to grab a takeaway or sit in and eat or drink. A delivery service is also available. With a wide and varied choice of sandwich fillings and bread types we feel we offer the greatest variety of lunchtime snack in the area. Build your own sandwich or try one of our weekly specials. We try and use the best ingredients including local butchers sausages, free range eggs and free range bacon. We also have a selection of halaal chicken sandwich fillers. We use a locally roasted coffee from Beanworks. Currently their Blend number 36 which is a mix of beans with a Dark Chocolate, Spice and Rich taste. We offer a range of weekly specials. Check our facebook page for weekly updates. Call in or preorder your food so it is ready to collect. We do deliver on orders over £10 too. © GRANARY CATERING LTD. ALL RIGHTS RESERVED.